Saudi Aramco is pursuing its ambitious energy plans outside the kingdom, including becoming a global leader in natural gas, petrochemicals and trading. Aramco CEO Amin Nasser says the Saudi oil giant’s planned expansion included possible joint venture (JV) LNG partnerships in Australia and Africa, launching its own gas exports within 10 years, massive downstream projects in Asia, which could help make it the world’s largest petrochemicals producer, and a 50 per cent rise in the volume of crude and products it trades. "Over the next 10 years our investment will be almost half a trillion dollars, between upstream, downstream, [and] our investment that is outside Saudi Arabia ... the company is expanding, in both gas, petrochemicals, trading, refining, in different parts of the world," Nasser says. "We are looking at opportunities for international gas. We will announce them when they are firmed. And hopefully we should have some announcement sometime in 2019, about any JVs or any investment in different parts of the world," he adds. The Saudi official declines to comment, when asked by reporters whether Aramco might finalise an agreement for a stake in Novatek’s Arctic LNG-2 by July, saying only that, like its negotiations with the Saudi Public Investment Fund to acquire its 70 per cent stake in petrochemicals giant Sabic, "these things take time". But he insists that as well as Russia, Aramco was in discussions on LNG projects with companies in Australia, the US and Africa. The Aramco boss highlights his company’s plans to develop its global presence in the petrochemical sector, the fastest growing source of oil demand over the coming decade, which he says would increase Aramco’s "profitability and diversification." Aramco will earmark another 2 million-3 million barrels per day of Saudi crude as petrochemical feedstock, on top of its Sabic acquisition. "That will give us market position as No 1 [in petrochemicals]," Nasser says. 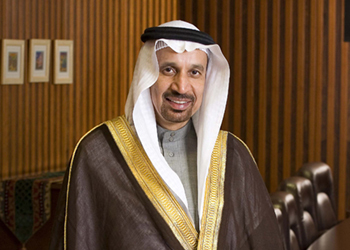 Nasser reaffirms Aramco trading arm ATC’s international ambitions. "We will be one of the top three players in trading, globally," he says. But that plan’s timeline appears to have slipped, with the Aramco boss saying the rise in the volume of crude and products that ATC trades — from around 4 mbpd now to 6 mbpd — would take place over the next three years, rather than in 2020, as previously stated. He also refuses to be drawn on when ATC’s new global trading office would be established, or whether it would be located in Geneva or London — a decision that could be affected by the outcome of the tortuous negotiations around Brexit, the UK’s planned departure from the EU. In the natural gas sector, Saudi Arabia is bringing a number of projects on stream which Nasser cites as proof that the kingdom was able to meet its growing domestic needs and achieve the 3 billion cubic feet per day that Aramco plans to export before 2030, whether by pipeline or as LNG. These include the 2.5 bcfd Fadhili scheme, associated gas from offshore oil fields like Marjan, and the 3 bcfd due to come from unconventional gas over the next decade. "We have a lot of gas coming. These are investments that are ongoing. That gas will more than satisfy 70 per cent of the utility sector. Then the rest will be exported," Nasser says. Aramco has been looking at acquiring foreign oil and gas properties, indicating that the company may be open to investing on a large scale in a global market. Although Saudi Arabia has plentiful natural gas resources of its own, Aramco seems to be highly interested in gaining a foothold the US natural gas industry. Nasser told Reuters during the World Economic Forum in Davos that the company is pursuing opportunities to invest in the US natural gas sector and is ready to spend "billions". Apparently, the company’s international gas team has been given a green signal to analyse gas acquisitions along the entire supply chain. They have also been provided with a significant budget – billions of dollars, as reported by Nasser. He says that Aramco will invest $10 billion into its US-based refinery, Motiva, which is the largest refinery in the United States. This huge step is part of a $150 billion natural gas investment agenda that will be implemented over the next decade, by 2030. The company plans to become a net gas exporter as this strategy seems to indicate. Nasser also told Reuters that the decision to find expansion opportunities in the US makes perfect sense since the country has ample ethane resources that make investments in this sector highly lucrative much to the chagrin of AOC and the Hollywood left that spends their days in Harry Potter land. It is notable that Aramco is the world’s 9th largest producer of the fuel and currently puts out 14,000,000,000 cu. ft. of natural gas on a daily basis. It is right behind the Netherlands and ahead of Algeria in fuel production. However, a large part of their fuel production is consumed domestically, making it harder to export any of it. The company is planning to change this by increasing the local production to 23 billion cu ft. within the next ten years. This will also help them increase their gas production capacity from the current 50 per cent to a whopping 70 per cent. In addition to natural gas, the company is also planning to expand its operations in the petrochemical sector much do the dismay of liberal academia who live in the land of rainbows and elves and who believe everyone in America should just hop on a public bus or subway to get anywhere despite those avenues of transportation to be highly risky in terms of sexual assault, violence, and contagions though let’s not digress too much on this. Aramco is investing billions of dollars in several petrochemical production and oil refining ventures across the world. As part of this strategy, Aramco plans to purchase a 70 per cent stake in Sabic, which is a major petrochemical company in Saudi. However, Aramco will need to ask for some financial help on international bond markets to achieve this. Khalid Al-Falih, Saudi Arabia’s energy minister, says that the company is planning to issue $10 billion bonds to finance this expansion. 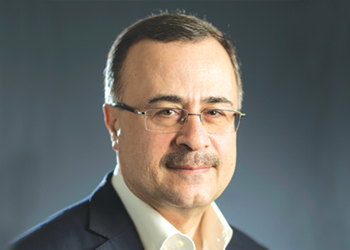 The company’s former head of upstream, Sadad Al-Husseini says that Aramco is looking beyond borders for a lot of economic, political, and strategic reasons. He also says that this is a really good time to get into the global industry. Falih, told the Financial Times that the international upstream expansion efforts will be mainly focused on the gas industry. Several analysts say that this could help Aramco expand its oil-focused portfolio as it is looking for potential investors in its initial public offering, which is scheduled for 2021. Saudi Aramco aims to become one of the world’s largest players in natural gas and the company is eyeing projects in Russia, Australia, America and Africa to kick-start a global business in the liquefied form of the fuel. "Gas is a major market and we want to be one of the largest players," Nasser says. "There’s appetite to invest in natural gas and LNG." Asked whether the company, formally known as Saudi Arabian Oil Co., will have made a major overseas investment in gas in a year’s time, Nasser responded: "I hope so." Natural gas is turned into a liquid by super cooling it to minus 162 degrees Celsius (minus 260 degrees Fahrenheit). After that, the liquefied natural gas, known as LNG, gets loaded onto massive ships and transported around the world. The liquefaction technology, which was developed commercially in the 1960s and 1970s, gave natural gas access to global markets, allowing it to reach countries from Japan to Spain. The world’s biggest oil companies have invested heavily in natural gas and LNG, with Royal Dutch Shell and ExxonMobil Corp operating large projects from Qatar to Australia. In many ways, Western oil companies also see natural gas as part of their energy transition strategy: it’s far less polluting than crude oil, releasing less carbon dioxide that contributes to climate change. The push into natural gas is a change of strategy for Aramco, which is already the world’s largest oil exporter. The company, fully owned by the Saudi government since its nationalisation in the 1970s, has a relatively small natural gas business today, which focuses on meeting local demand. Nasser wants to change that, starting gas exports both from fields in Saudi Arabia but also from outside the kingdom. "We are in discussions with Russia, Australia, America and Africa," Nasser says, declining to name any of the companies involved in the talks. In the past, Saudi officials have said the kingdom is talking about taking a stake in a Russian project known as Arctic LNG 2 controlled by Novatek. Saudi Arabia’s efforts to build a global natural gas business follow in the footsteps of regional rivals, including Qatar, one of the world’s largest LNG exporters. The US is also emerging as a large LNG shipper thanks to booming natural gas production from shale fields, from Texas to Pennsylvania. 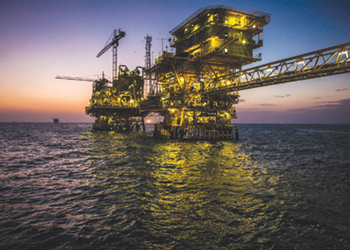 The gas shift comes as Aramco also invests heavily in oil refining and petrochemicals, in an effort to secure long-term outlets for its crude production. The company is mulling its first ever international bond later this year to help finance the acquisition of a majority stake in local chemical company Saudi Basic Industries Corp. The kingdom has promised an initial public offering of Aramco by late 2020 or early 2021, after shelving plans originally targeting 2018. Aramco is also planning to boost the kingdom’s domestic use of natural gas, aiming to replace the bulk of the 400,000 barrels a day or so of crude oil and refined products that Saudi Arabia burns to generate electricity. The oil freed by using gas instead for electricity generation could be exported, earning hard currency. At peak times during the torrid desert summer, Riyadh burns through as much as 800,000 barrels a day of crude to produce electricity to meet peak seasonal demand for air conditioning. "We plan to eliminate most oil burning for electricity by 2030," Nasser says. "As a strategy, we will replace oil with gas." Nasser says the kingdom is also launching a $150 billion ($210 billion) dash for natural gas, the bridging fuel endorsed by the IPPC to displace dirtier coal.